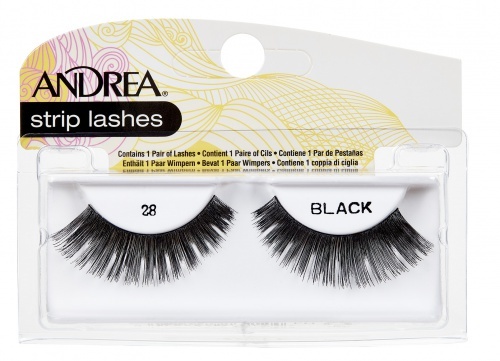 Andrea ModLash #26 (also known as Andrea Strip Lashes #26 Black) style lashes are full, blunt cut lashes with a variated chunk cut-out pattern. This style is similar to Ardell Fashion Lashes #101. 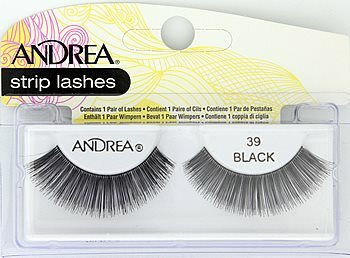 Andrea ModLash #33 (also known as Andrea Strip Lashes #33) style lashes are full in volume, with moderate length. This lush lash style is dense and bold with slight winged-corner edge for a subtle yet stricking effect. Comparable to Bullseye SOPHIA lashes. Voluminous and gorgeous, these lashes are sure to attract a bit attention! Full at the base, with subtle feathering toward the tips. This style is similar to Bullseye BILLIE lashes, Kiss i-Envy Premium Paparazzi 04 (KPE20) lashes. Super full lashes, with graduated length. These lashes are shorter at the inner corner and longer in the outer corner. 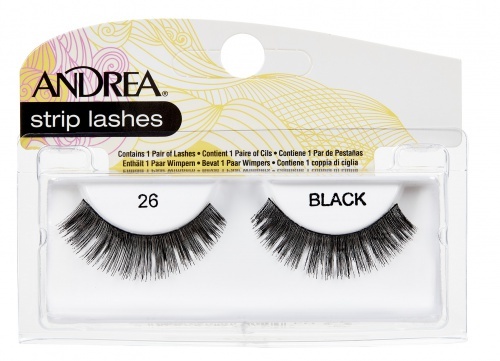 Voluminous and short, these lashes sure pack a punch! This style is similar to a 2x full version of Ardell Baby Demi Wispies. Super long lashes, super full, super gorgeous! These lashes are longest at the middle and taper off at the corners. This style is similar to a more voluminous version of V-luxe by i-Envy Hannah lashes. 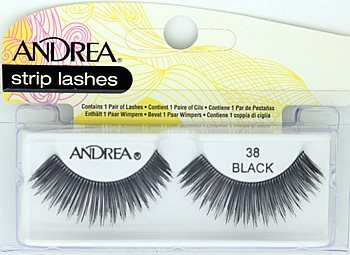 Please note Andrea ModLash Strip Lash #36 is currently out of stock; Item will be available again shortly. Try comparable style in V-Luxe by i-Envy 100% Virgin Remy Hair – Hannah. Angled and ready-to-go! Ultra edgy, dense and dramatic, these lashes are anything but subtle. Full of volume and soft to the touch. This style is similar to Kiss i-Envy Premium Hollywood 02 (KPE37) lashes, Kiss i-Envy Premium Juicy 03 (KPE14) lashes. Long, voluminous, bodacious beauties. These full lashes have gorgeously feathered tips, perfect for giving soft, fluttery, butterfly kisses! This style is similar to Kiss i-Envy Premium Juicy Volume 05 (KPE16) lashes. Fluttery, slightly graduated length (shorter in the inner corner), full of volume, lots of fun! This style is similar to Kiss i-Envy Premium Velvet 05 (KPE46) lashes. 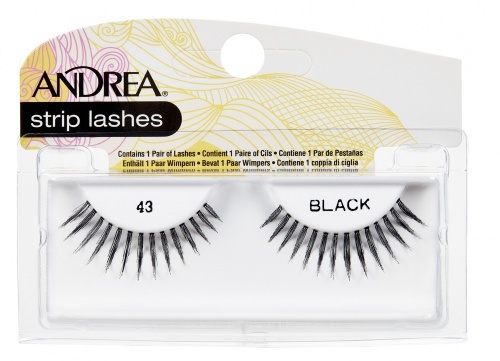 Andrea ModLash #43 (also known as Andrea Strip Lashes #43 Black) lash style consists of separated chunks of spiky lashes. Available in Black lashes only. Highly dramatic.